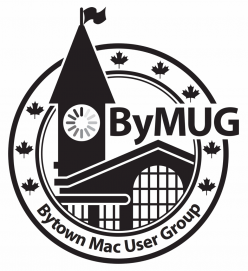 ByMUG: The Bytown Mac User Group of Ottawa – Page 32 – Over twelve years of Mac & iOS devices in a fun and social setting. For April’s meeting, David will show how to use Image Capture, Tom will demo Contacts.app (we didn’t actually get to it in March), then we will discuss Microsoft Office for iPad, MS One Note for Mac, and some clever Apple-specific April-fools jokes. We will also try to answer any other iOS/Mac-related questions as best as we can. April’s meeting also marks ByMUG’s eighth year! Where does the time go? The meeting takes place on Sunday, April 6th, 2014, at 1 p.m. at Patty Bolands, located at 101 Clarence Street.